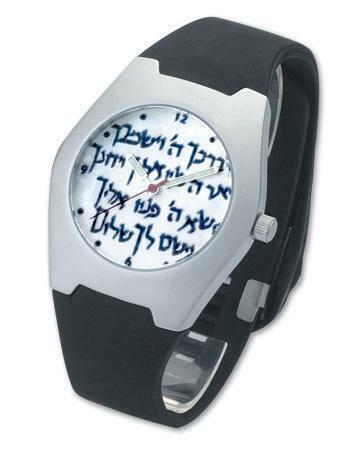 Cohen Blessing Kabbalah Watch. All of the kohanim participating in an Orthodox prayer service must also deliver the Priestly Blessing, called Nesiat Kapayim, during the repetition of the Shemoneh Esrei. The text of this blessing is found in Numbers . They perform this rite by standing in the front of the synagogue, facing the congregation, with their arms held outwards and their hands and fingers in a specific formation. All jewelry is manufactured in the Holy Land of Israel. The factory is not active on the Sabbath (Friday evening to Saturday evening) and the entire process of manufacture is made by strict instructions mentioned in the holy books. Metal are: Silver. This Watch is made with silver 925. Watch Type - 716.